Become an Exhibitor at CVMA Convention! We’re moving back to the mountains! CVMA’s 2019 Convention will be back in beautiful Keystone, CO! We look forward to hosting you in the Rocky Mountains for 2019 and 2020. 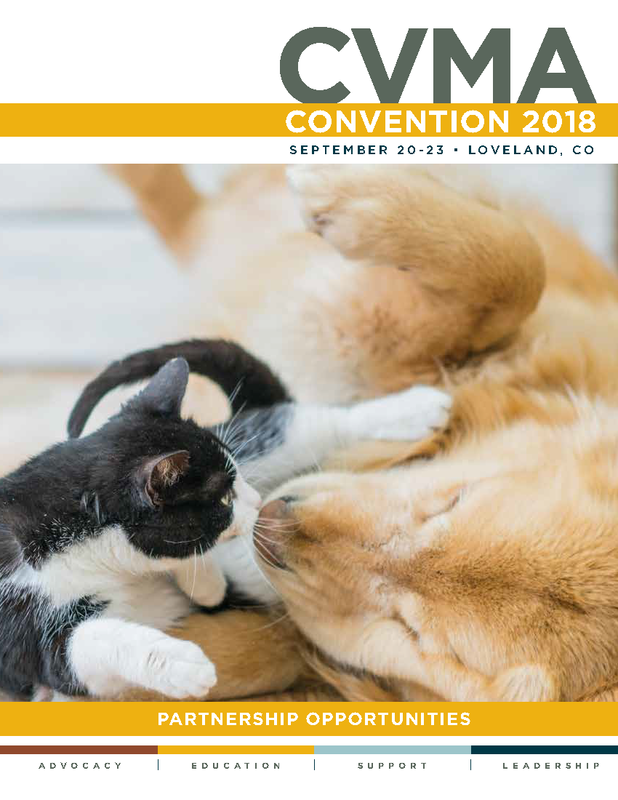 As the largest gathering of the veterinary community in Colorado, CVMA Convention offers a variety of opportunities for leadership, learning, advocacy, and celebration. We invite you to partner with us and align your company with hot topics in the veterinary industry, advertise by placing your company on a convention product, and connect with veterinarians, their team members, and others engaged in animal health and welfare. 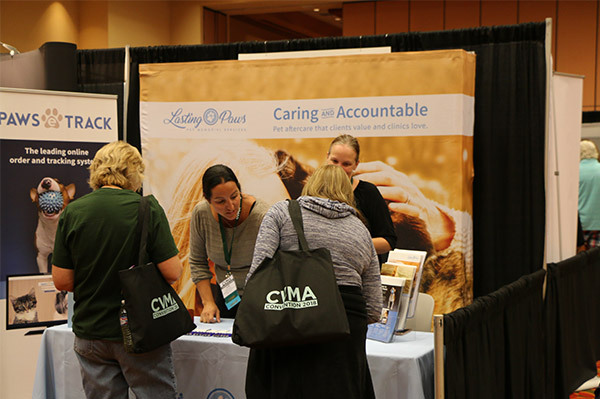 CVMA’s annual convention is an outstanding opportunity to build relationships with the veterinary community. You can promote your product or service, showcase your industry leadership, build brand awareness and loyalty, introduce new products and services, and interact with key contacts. The convention grows in popularity each year with Colorado and out-of-state veterinarians, as well as technicians and practice managers—and prominently places over 700 of your potential customers within your reach. Reserve your booth today! | View available booths! Sponsor our Opening General Session as we kick off 2019 convention! Welcome our attendees to convention and have your logo prominently displayed throughout the four-hour session. In a world of technology, sponsor our mobile app or showcase your logo on our Wi-Fi splash page! Both of these will be heavily used at convention and positions you in the hands of all our attendees. Many of us have used or seen the convenience of a PopSocket® phone stand, and now is your chance to have your logo printed on over 700 of these exciting phone accessories. For more information and to see all of our sponsorship opportunities, download the partnership opportunity brochure or contact Gail Marshall, Director of Learning and Sponsorships, at 303.539.7264 or GailMarshall@colovma.org. Looking for something new? We are here to help answer any questions – contact Gail today! Gail Marshall, Director of Learning and Sponsorships at 303.539.7264 or GailMarshall@colovma.org.